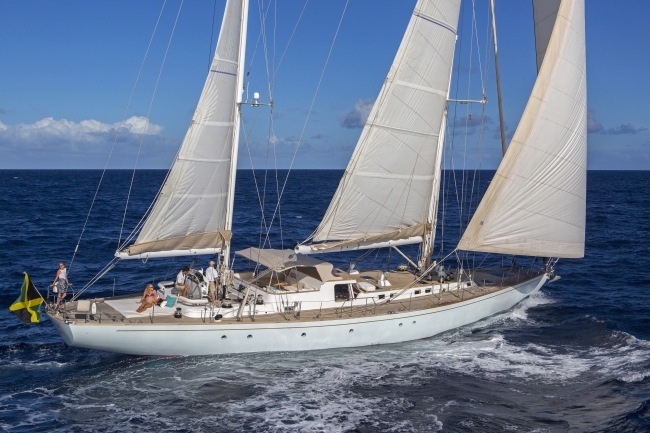 The 100’ Italian ketch JUPITER offers high performance sailing and comfortable accommodations for four couples or families of eight. 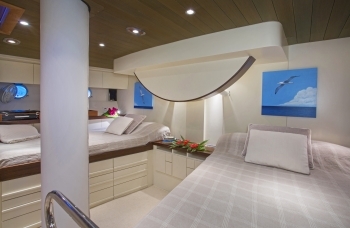 There are two double berths on opposite sides of the master cabin, and the three guest staterooms have one queen and two twins, respectively. The long coach roof has many opening hatches and portholes, giving a light and airy feeling below. 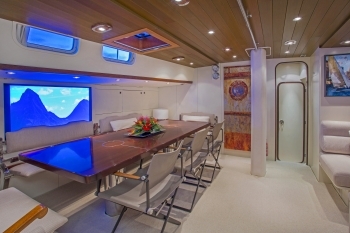 The lower saloon has white carpets and walls with mahogany trim that gives the yacht a modern and classical feel all at once…. 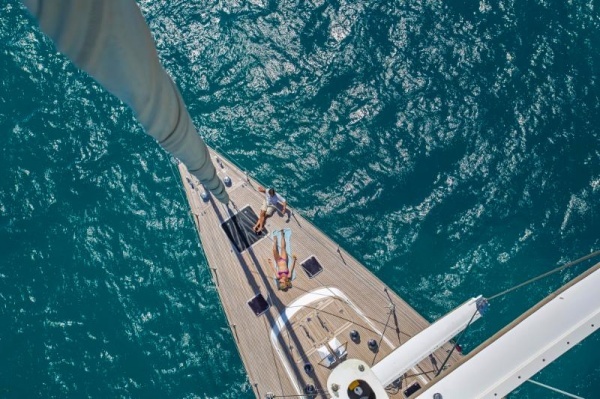 The upper saloon is a comfortable place to get out of the wind by day, or guests may sunbathe on the fitted cushions aft of the teak cockpit. 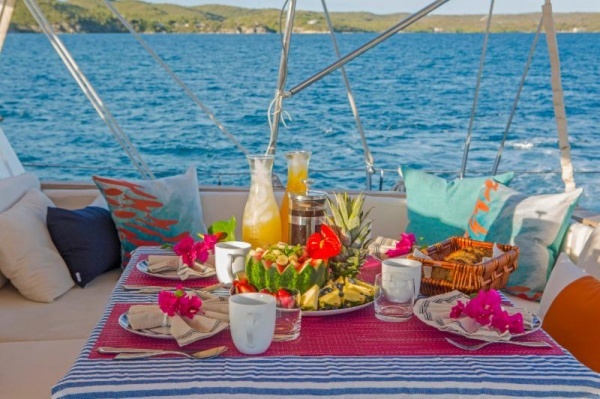 JUPITER sails between Newport, Rhode Island and Antigua, West Indies each fall and spring, where her professional crew of four – captain, chef, stewardess, and first mate – take good care of guests, looking for culinary excellence as well as thrilling sailing. 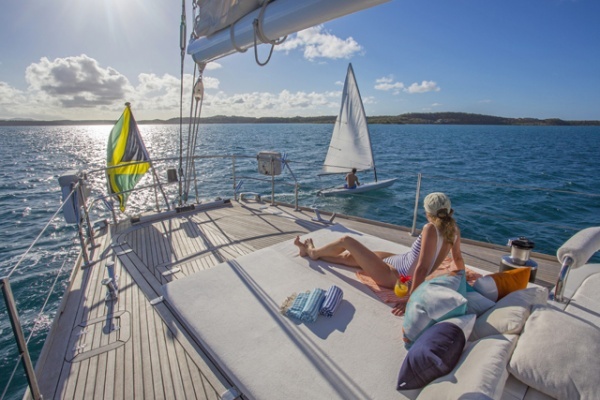 Guests may explore the coastal bays and beaches on Jupiter’s two stand up paddle boards and Laser sailing dinghy. 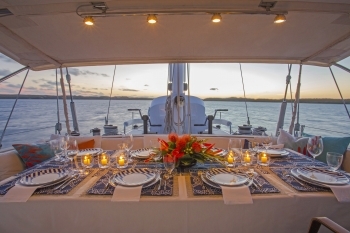 They may also help with the sailing and there is snorkling gear….and other sports equipment…. Book your winter getaway by March 1st and receive 15% off! 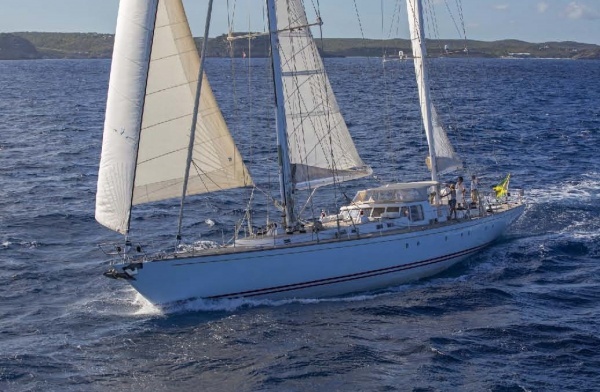 JUPITER is available for the America Cup Races in Bermuda in June, 2017, and then she will be available for charter in New England out of Cape Cod… The yacht is available for charters in the Dominican Republic in March, 2017, an interesting destination with great whale watching. $75,000 + all for Finals 10 days.